One of the two puppies that Johnson adopted this past weekend needed to be rescued from drowning in his backyard pool! 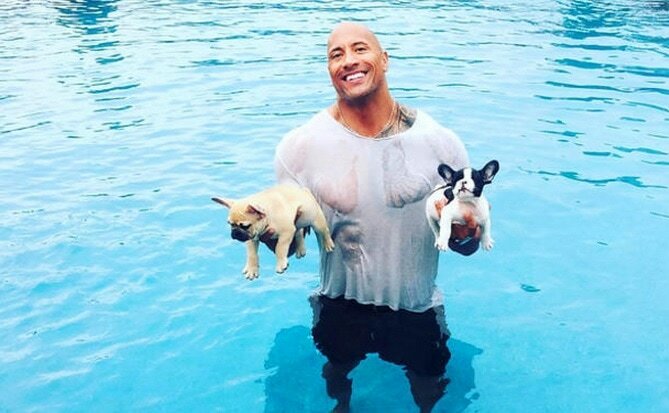 If this man ever is in danger of drowning, he better hope he has his best pal around to help! 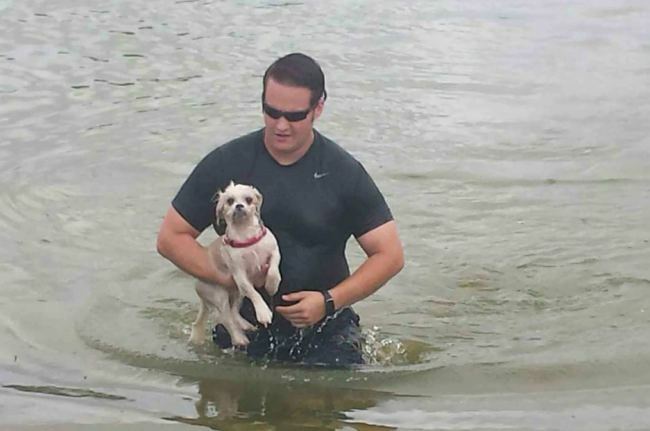 A small dog in Florida fell in the water and was about 50 yards away from the sea wall. The dog was scared and kept drifting away from shore. 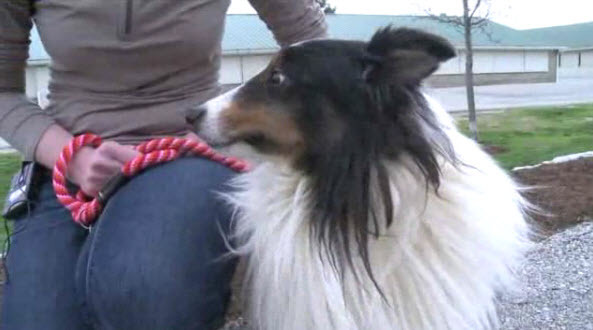 A scared and disoriented dog jumped off the Fall Creek Road bridge in Indianapolis, Ind., and was drowning, but Russ Chargualaf, was there at the right time and saved the pet.